Forum Home > Bend it, Mend it - Mods & Wreckers > Is battery terminal damage reason for dead movement? 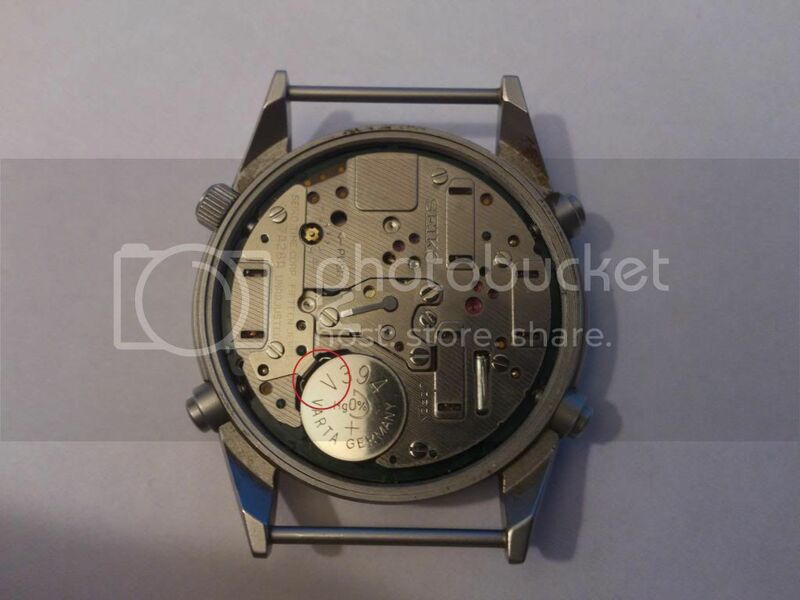 Hello, I unashamedly joined the forum specifically to pick your well learned brains regarding a problem i am having with my 7A28-7120. I found the site whilst searching for a solution online and on TZ UK. Thank you in advance for looking it over. My Gen 1 is dead. I think it has some damage to the battery terminals. The positive terminal seems to be two 'fingers' short and the negative terminal is somewhat worn. I can't really see any signs of a prior battery leak episode but obviously can't rule it out. As stated, there are no signs of life when a new battery is fitted. My question therefore is; could this me a simple problem with the terminals or am I looking at a more complex problem? Would it be worth my while replacing the positive and negative terminals, something I have just enough skill to undertake, or should I just search out for a donor movement? I suppose the third option would be sending it for a service. You can tell I'm a newby to the forum. Apologies for the formatting I'll try to fix it ASAP. I'll fix it for you. I'm also going to move your thread to the Workshop section. Give me a minute or two. Fixed your formatting and embedded photo. Thank you Seiko7A38. Thanks for the resource too. Well I've seen a lot worse. 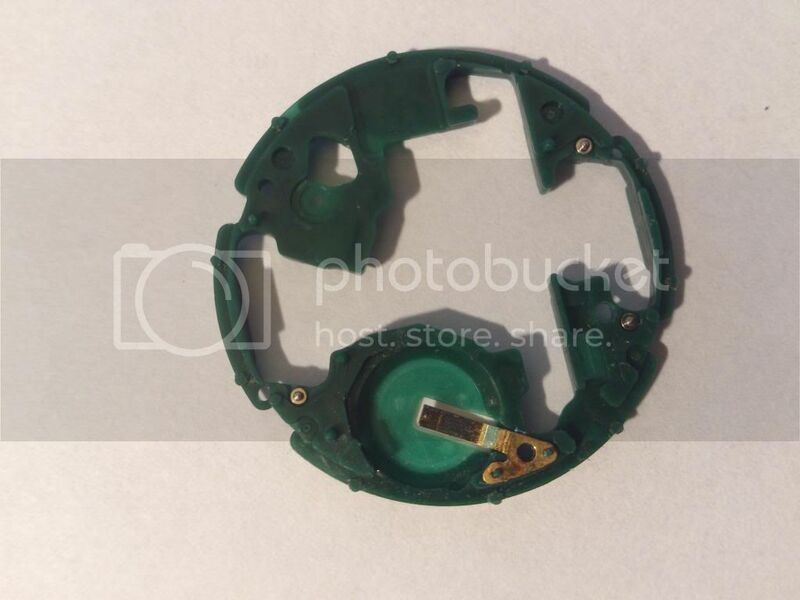 From the (partial) loss of gold plating on the negative battery terminal, it's pretty obvious that the watch has suffered from a leaking battery at some point - and that somebody has cleaned up the evidence. 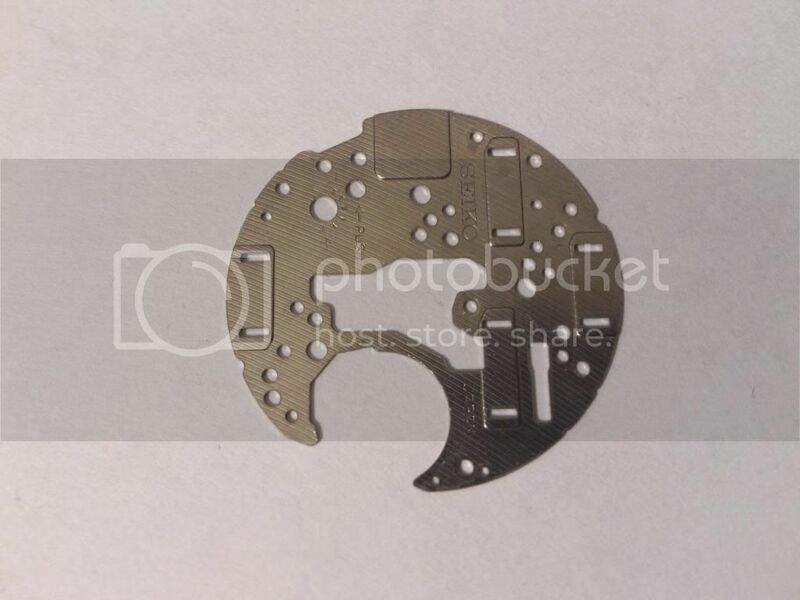 The fingers on the positive plate are shorter than they should be (I see you've looked at Kent's WTB post already, so you know there's an alternative 7A34 part available). But as long as they're making contact with the battery shell (and are clean) that's all that matters. 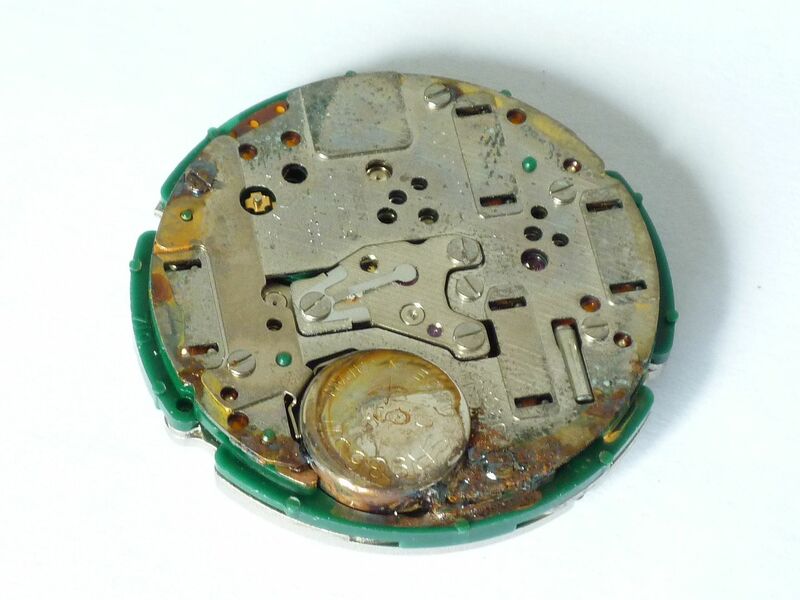 It's relatively easy to clean up an anti-magnetic movement back-plate which has been tarnished by battery acid - so it looks 'like new'. Done a good few myself. 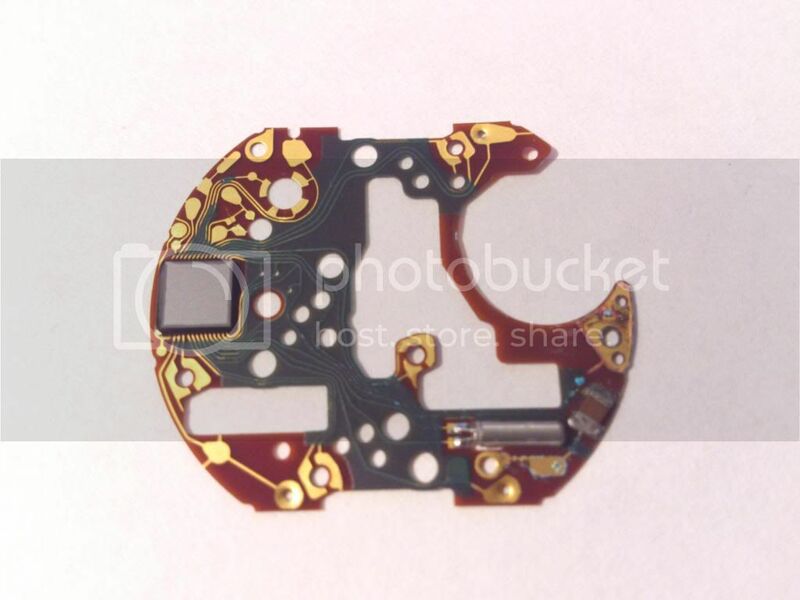 What I suggest you might want to do is have a look at the condition of the PCB underneath the back-plate. Thanks for the reply. So in your opinion the problem lies elsewhere? The new battery does indeed contact the prongs on the positive terminal, i suspect they are clean enough. I have just done a quick check at CousinUK for the alternative part from a 7A34 and obviously 7A38 and 7A48 with no luck. In your experience could replacing these terminals get it going again? Sorry, replied before I saw your edited post. Will have look through the link. Thanks. 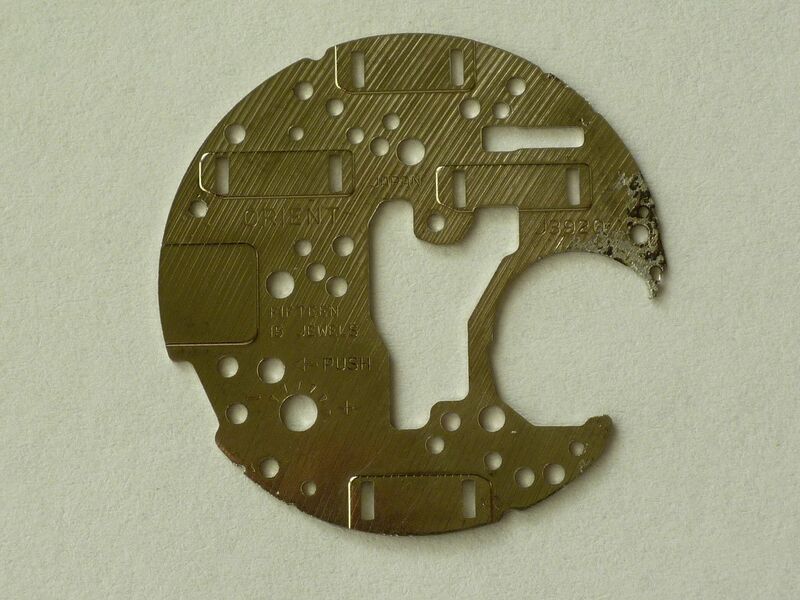 I'd check the condition of your PCB and the underside of the back-plate. Have a look at the photos in that thread. By the way, when you say 'My Gen 1 is dead' - do you mean everything - time and chrono' functions are completely dead ? What happens, with the battery fitted, when you hold the 4 o'clock pusher in for 2 or 3 seconds (the in-built self-test) ? Is there any flicker of life from the hands ? Which make of battery are you using ? Just had to go and get the watch...no life whatsoever. Didn't know about the in-built test but tried it just now and still nothing. Well, I don't personally recommend VARTA. Maxell or Renata or original Seiko. Suggest that when you're feeling brave, you undo the 7 back-plate screws and VERY carefully lift it off and have a looksee. By the way, you refer to the watch as 'my 7A28-7120'. Did you acquire it fairly recently - and is it this one, by any chance ? Hello Paul. Thanks again for all the advice. The Varta battery is new, whether it is good I couldn't say. You're the expert so I'll be getting a Maxwell, Renata or Seiko asap just to be sure. I read through the great links you provided and it looks simple enough for me to have a go myself. I will sharpen up one of my screwdrivers and get to it. I will post photos here of what I find. Needless to say a career in MI6 wouldn't have gone amiss with your detective skills. Bloody well serves you right then ! It was ME that you out-sniped by a Fiver to win the auction. See Page 4 of the relevant thread in the eBay section. Ironic, huh ? The other manufacturer I couldn't think of at the time (it was late and I'd had a glass or two) was SEIZAIKEN (a.k.a. Seiko Instruments). Your Varta # V394 is likely O.K.. I'd personally have a look at the PCB under the back-plate before going buying any more batteries. The other manufacturer I couldn't think of at the time (it was late and I'd had a glass ot two) was SEIZAIKEN (a.k.a. Seiko Instruments). Your Varta # 394 is likely O.K.. 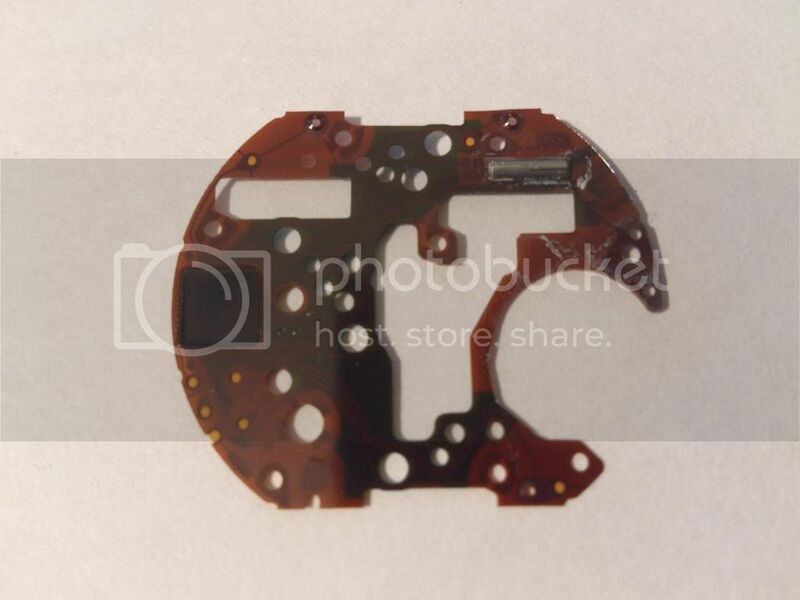 I'd personally have a look at the PCB under the back-plate before going buying more batteries. What are the odds though? Plus the fact that you deduced that my Gen1 may be the one you so happen to have bid on several days before, from no information at all. Pretty incredible. The fact that you were willing to bid on it gives me some added relief to be honest. This is my first 7A28 of any kind so hopefully you don't mind losing out this once. I was willing to go that far price wise knowing that a donor movement would be an easy fix whilst still leaving me some margin, in terms of value. Having found your site I'm pretty excited to have a go at getting it up and running myself or at the very least diagnosing the problem with your instruction. Please don't keep quoting my posts - there really is no need (say unless we turn over to a second page, after 20 posts). I just had another look at your photo. 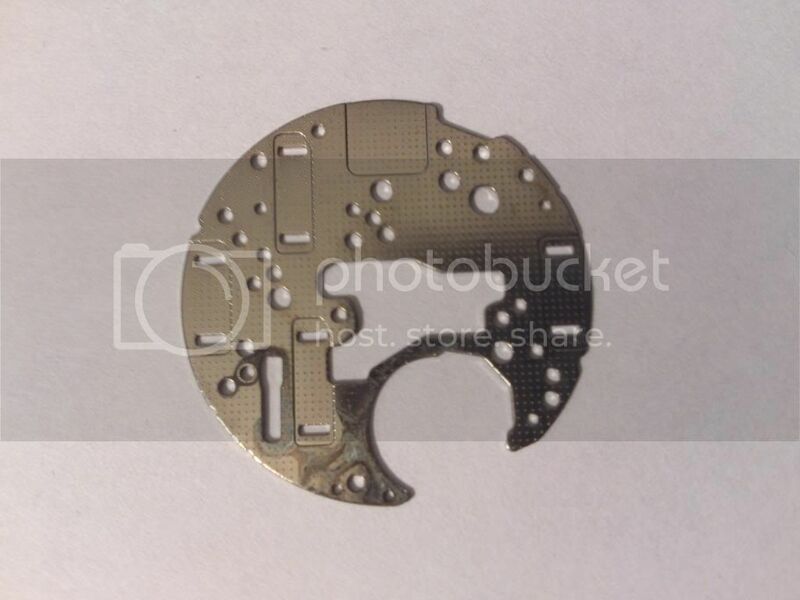 Notice how much cleaner the back-plate is, compared to the centre seconds bridge (in middle). Yes, the back plate is shiny and the centre seconds bridge is matte. I think I understand what you're getting at. The difficulty is in achieving it and ending up with something like the original semi-matt factory finish (as opposed to too shiny). This is one I prepared earlier - 'Before and After'. There are more photos (including the PCB that was underneath it) in this thread. In fact, although I was careful to avoid reflections / over-lighting in this photo, it's already a lot shinier than when it left the factory. 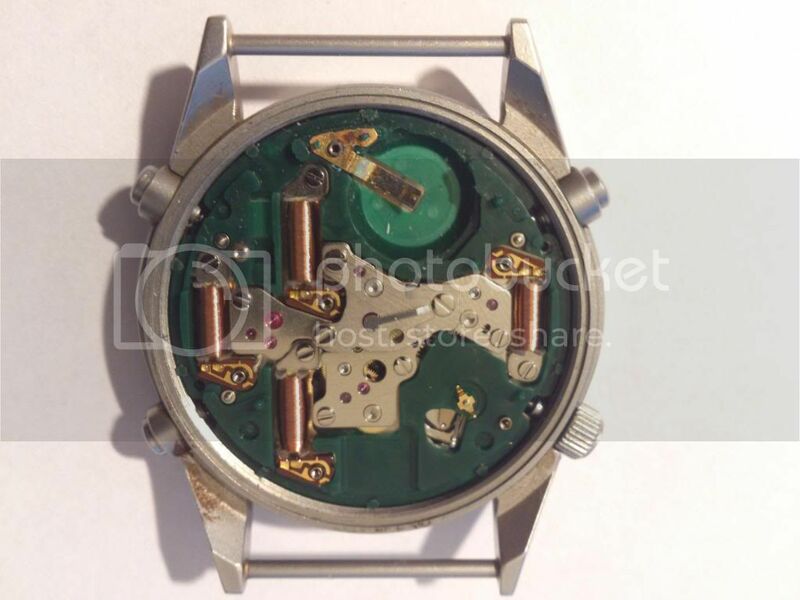 I suspect whoever cleaned the movement back-plate and terminals in your 7A28-7120 decided to venture no further and quickly nailed it back together. Before you unscrew the 7 screws which retain the back-plate (and the battery positive terminal plate), you may want to check them all for tightness. I know, from past experience, that loose screws can have a detrimental effect on functionality. Incidentally, the PCB under that battery acid-ravaged back-plate plate actually worked !! I finally managed to (carefully) get past the back plate, PCB and green spacer. This is about as far as I am willing to go without totally ruining the movement. Apologies in advance for the photos. They were taken on my phone but should show in enough detail what needs to be shown. I'm still a bit sceptical that there is enough contact between the terminal and the battery. It looks like it is making contact but can't be 100% sure. Obviously I can see the issues caused by the battery leak but will leave it to the experts to see if they spot anything more. 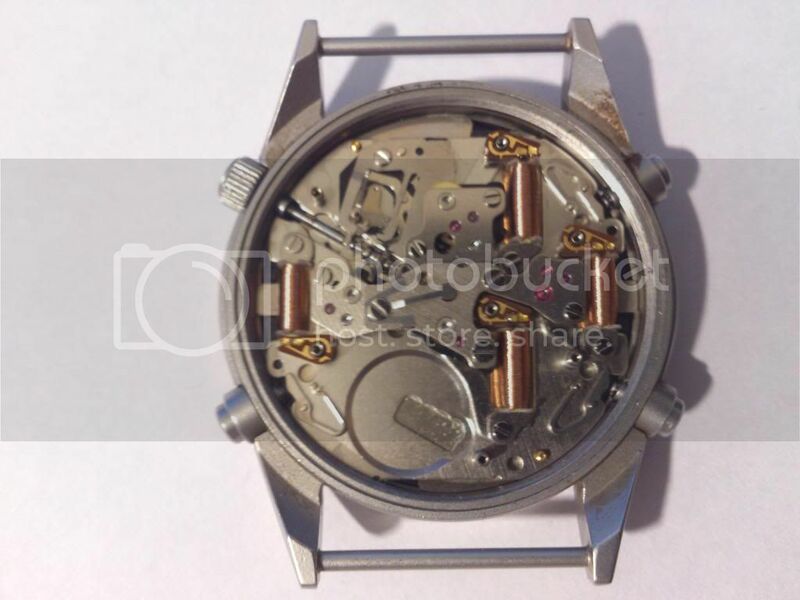 To my untrained eye the mechanical part of the movement looks pretty clean. The pushers and crown work as they should. Any input in much appreciated.